Join Bryan’s Fuel CardLock program and you’ll receive a swipe card that lets you buy fuel 24 hours a day at any of 50 partner locations across Ontario. When your monthly account statement arrives, it’s already itemized and broken down for you. Plus, you’ll get the security of knowing you always have access to fuel when you need it. Most locations offer unleaded gasoline and diesel fuel, both clear and coloured. Interested in learning more about Bryan’s Fuel’s CardLock? Give us a call to talk to one of our knowledgeable, friendly, sales-people. They’ll help you decide how best to take advantage of our program’s many benefits. Our toll-free number is 1-800-637-5910 or you can also reach us at 519-941-2401. If your business requires that you be on the road, you know that finding a place to fuel-up isn’t always easy, and once you’re home, sorting through your receipts is the last thing you want to do. 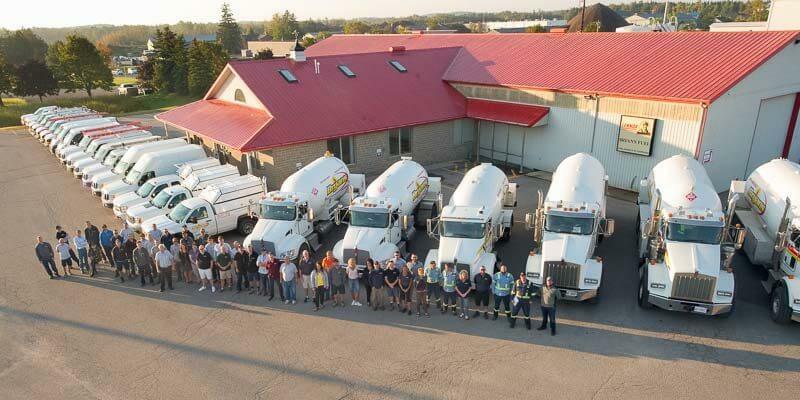 Bryan’s Fuel can help – with our local CardLock and province-wide CardLock access. With Bryan’s Fuel CardLock you’ll have easy access to fuel any time of day or night, from Windsor to Ottawa to Thunder Bay. In addition to offering reasonable prices and shorter wait times, Bryan’s Fuel CardLock also lets you bypass the paperwork that looms at the end of every trip. Whether you own a fleet, drive for business, or just drive a lot, make the ride smoother with Bryan’s CardLock.